Please sign up here for notices about the new site I am launching on Rim Chung’s One Fly methods. I have been asked “What rod is Mr. Chung’s current favorite?,” on this blog. This will be the subject of a soon-to-be released article and a chapter in the book that I am in the works of publishing about his fishing methods. The short answers are that a Sage TXL 0710- #0 Line and the Sage LL 2-weight in 7’9”, are Rim Chung’s all-time favorites. He also fancies several of the Winston rods, such as the Boron III and then Winston Air 8’6” both in 3 weight. Personally, while Rim will never claim to have a favorite rod, I love the Winston Air 8’6” 3 weight the most of the many rods of Rim’s that I have used and my all time favorite before that was the Winston WT 9′ 3-weight rod, and I exclusively fish his methods of nymphing. 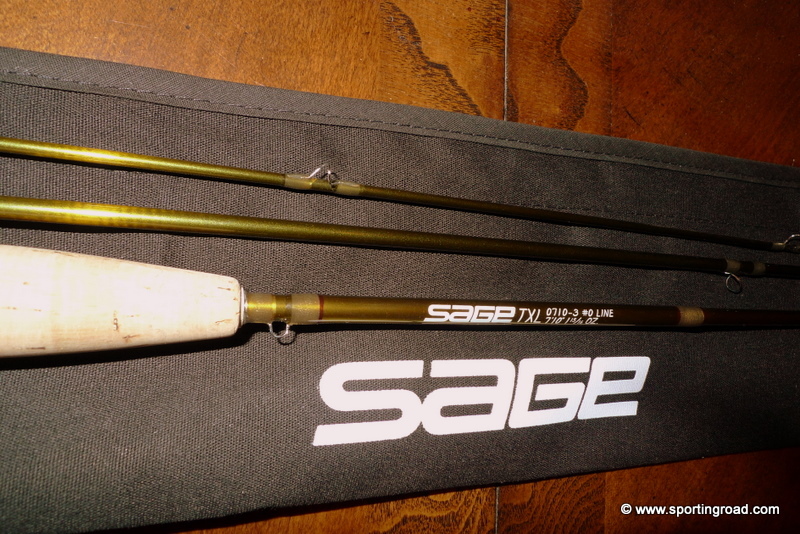 My wife likes the SageLL 3 weight 8’9” rod, as it’s a little stiffer and easier to cast. Not surprisingly the 389LL became legendary in mid-90s, which many dry fly anglers also bought based on Gary LaFontaine’s suggestion. Rim owns one as well as his beloved 279LL. I’ll attempt to let you in on an advance glimpse behind the invisible veil to catching more fish with his ultra-light weight fly fishing methods here, which is the real secret, not just the gear, but having light weight gear is very important. Mr. Chung has been fly fishing since the glass and bamboo rod era, when these rods were the only choices available to anglers. Many times, he has emphasized to me the importance he places on light weight equipment. And, he is not the only one to focus on this important aspect of nymph fishing, as light weight lines and tippet provide a lot of advantages to the nymph fisherman, and to use those properly, you need light rods and finely adjustable reels. Oliver Kite put it well that “[s]triking and hooking depend partly on the suitability of the rod to initiate the strike, [and] the lightness of the line to enable it to be instantly effective.” He went on to point out that good quality tackle will make this rather difficult and exacting sport more enjoyable and easier in practice. I reflected that Mr. Chung was not the first to advocate light rods, as I was to able to confirm later in my research, but for some reason light rods have never completely become in favor. I continued the discussion with Mr. Chung by asking, “With a two weight rod don’t you find it hard to cast far enough?” “As the small flies dictate that you use fine tippets, I do not see any good reason when fishing for trout to use a rod heavier than a three weight. The primary argument that I have heard in favor of heavier rods, such as the ever-popular five weight, is the ability to cast in windy situations. Let’s be honest. There has been a recent trend in America, and for that matter throughout Europe, to cast further and further. 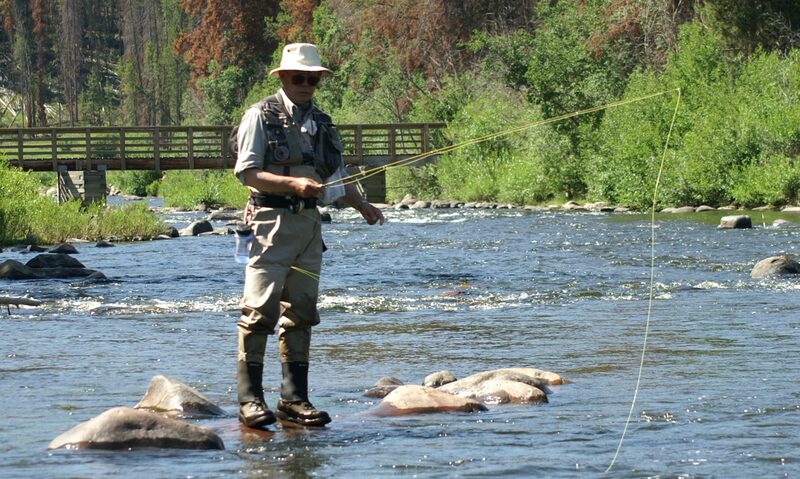 Most casts for trout are under forty feet. “That’s what my father-in-law always says about guns, horses and women,” I replied and we shared a laugh. More on lines, flies and methods to come soon… please feel free to sign up now for the email feed on the bar to the right for more information on the articles, the dedicated website and book to follow. Copyright 2019 entire site, all rights reserved, no images or text may be reproduced or reposted in any fashion whatsoever without the express written permission of rimchungflyfish@gmail.com. When you say that one of Mr. Chung’s preferred rods is a Sage TZX, do you mean a TXL? And, btw, thank you so much for this website. It’s a treasure trove of information and inspiration. Sorry that was a typo, we have it fixed now. Rim’s current favorite is the Sage TZL 0710- #0 Line and his former favorite was the Sage LL 2-weight in 7’9”. I’d say he has personally owned well over 30 graphite rods from many manufacturers in the past thirty years, since they came on the scence replacing his bamboo nymphing rods. All of them have gone through meticulous testing, analysis and criticism, in actual nymph fishing. So the selection of these favorites is not a rash consideration, but one of elimination of most, if not all, other possibilities. Then again, it is one that in the end comes down to personal taste, so how can this point be argued? Not to be a pain, but it’s TXL, not TZL, correct? Also, there’s a new TXL, a TXL-F. Do you or Rim have any experience with that? Sorry, spell check kept changing the acronym when I posted it. Yes, it’s the TXL, which was the original 3-piece, 7’10”, in 0-weight. Rim also has a TXL-4 (and the 4 stands for four piece, versus the original which was 3-piece). The TXL-4 is an all together different rod, with different action, and is much stiffer (heavier and probably should be rated at least 1-2 weights more than they mark them), as compared to the TXL. The TXL can be found on eBay and some shops are still liquidating them online. Pick one up, you won’t regret it. Have you noticed any increased fish mortality from using lighter rods and does it take longer to net the fish verses a heavier rod? None and no, within reason, but that’s why we have several different rod weights to pick from given the conditions. The stiffness of the rod also makes a difference, and every rod is different in that regard, hence the experimentation with different brands, lengths and actions, for which Rim and I have similar but slightly different preferences based upon a particular river’s fish and conditions. Best I can tell this subject hasn’t been updated since before 2012. Now it’s 2016. Has Rim bought in to the longer, lighter rods of the Euro-nymphers? And lines? This site is up to date. And, no, while Rim has tried many lines and rods (in fact he worked part-time in a fly shop for several years of his retirement for something to do), but he remains confident in the ones I have described. It’s nice to see updates on your site. Your work is always appreciated. Following up on John’s question above, how do Rim and you feel about the style of nymphing practiced by competitive anglers, or Euro-nymphing (presumably because it is the most effective way to catch fish)? Specifically, how do you feel about fishing with essentially no fly line, using a long leader instead (i.e., a mono rig), and employing small nymphs tied with tungsten beads? Rim has commented on a few occasions that it offers no advantages to his method, having fished next to many International nymph fishing competitions (by chance on public water), although the use of light lines, long leaders, and no indicator (well sort of, they still have their version of a sighted, indicator, or often many of them) are similar. The need to change the fly to add or subtract weight to the rig is also a serious disadvantage in fishing different lies of a stretch, versus the modable putty on the line, which is instantly adaptable. That’s very interesting. Thanks to you and Rim, I have had great success through the years fishing his method. However, what I see as a legitimate argument from the Euro, comp, anglers is that they try to maintain tight contact with their (weighted) nymphs. I believe that Rim’s method probably results in a more natural drift, but with the weight so far above the flies, the cost of that drift is that contact is compromised. At least that is how I see it. I’d love to hear your thoughts on the matter. I haven’t discussed your reply with Rim, but from my perspective after considering it thoroughly and having fished next to competitive Euro nymphing anglers, his method still has an advantage of being able to do what they do, and being able to do what they cannot do with their rigs. If you have “tight contact with the nymphs” it means then you are imparting either some drag or some pull (action) on the flies. All of these methods work at times (i.e., Leisenring lift, Sawyer’s induced take action on the Killer Bug, Joe Brooks’ swimming nymphs, etc. ), and are used at times by Rim, but generally speaking having a natural drift is going to result in more takes. There are times where the fish definately take on the rise at the end of the drift usually during a heavy hatch. There are other times where you can induce a fish to take, if you have one close by and well spotted that is otherwise letting the nymph pass by. The argument against using a strike indicator to float the fly at a certain depth, which by definition will mean that the flies are floating at a different speed than the rest of the line above the indicator, as the surface doesn’t move at the same speed as the flies at depth, also applies to your example of “tight contact with a weighted nymph.” There is little chance you will be fishing with no drag. In short, there are times when you want a tighter line, such as when you are fishing a short line cast to close fish and there are other times where you want more slack, such as longer casts against varying current speeds. If they were catching more fish with the Euro rigs, I would have been the first to switch to them. But as Rim would say, try them and see what works for you, there is no wrong way, as ultimately fishing should be done in whatever way what brings you the most joy. Thank you for a response full of insight and wisdom.